Teach students how to think when they read with these reading strategy strips. Make active reading strategies more concrete and help students take personal ownership of using reading strategies taught in class. 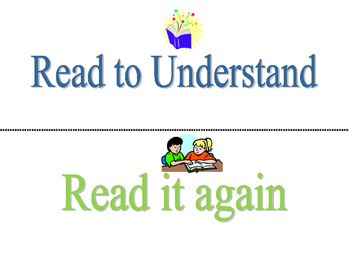 Students will focus on ways to approach their reading. This will empower students to become better independent readers by giving them actual tools they can use to figure out unknown words and gain comprehension of the text. Use these during guided reading lessons. If possible, schedule guided reading groups for at least 25 minutes, four days a week. In small groups, introduce the text and have the students discuss the pictures, make connections and predictions. Immerse students in leveled texts that are on their instructional reading level in a variety of genres. As they read the story, choral read with the whole group or whisper read with individuals to figure out words in context. Write troublesome words on the white board and discuss which strategies will help. Discuss and elaborate on the strategy strips you wish to focus on that day. This depends on the stage of readers. 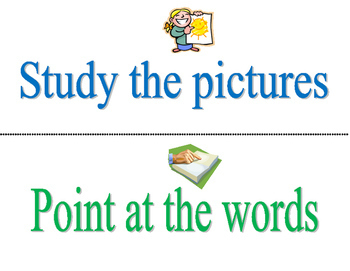 Primarily, with emergent readers, "Study the pictures" and "Read to understand" work well. 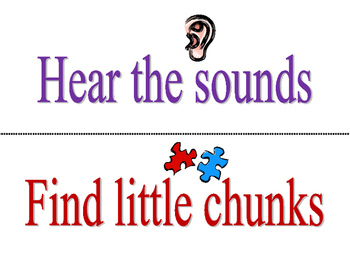 Early readers will be ready for "Point at the words" and "Hear the sounds." Students who are already using active reading strategies may be ready for "Read some more." Put these strips on white board with a magnet. If students are reading individually, troublesome words can be put on small white boards, and reading strips can be left on the table. Students can pull the strips for the strategies they used. Teacher can suggest other strategies that would be helpful. If a student makes a substitution, for instance, it is a good time to stop, write both words on the white board, and use the strategies to check the words. You can use one set of strategies for the whole group. Play strategy detective and see if you can guess who is using which strategy. Students will notice that sometimes they will need to use more strategies than other times. This will help them figure out which books are just right, or if they are too easy or too difficult, so that they will be better able to select books that are appropriate for their level of development. 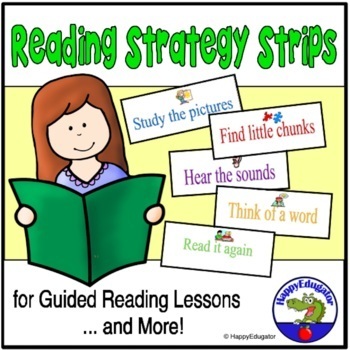 Included here are the active reading strategy strips which you can print out and laminate, and the teacher directions, including an explanation and elaboration on what each strip really means.